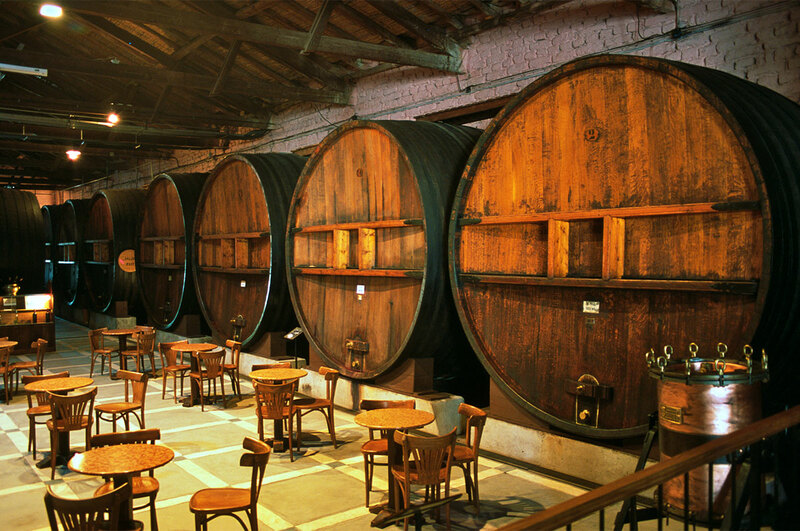 Most tasting rooms experience downtime during which there are no guests. That leaves you with three options: 1) let the staff sit and wait, 2) send staff home, or 3) have them perform other strategic tasks. I’ll bet you can imagine what Capiche recommends! In January, we blogged about 12 apps and databases your team can monitor to ensure your brand is accurately represented. In this post, we offer a reminder to make sure your online information is current. If you have a special or early closure, you’ve moved locations, or there are any other factors that render your Google information outdated, it can be frustrating for guests who have likely gone out of their way to visit you. Along the same lines, don’t forget to keep your own website, Facebook page, Yelp, and Trip Advisor information up-to-date. Make it easy for your guests to visit when you are open and be forewarned when you are not. You’ll have more (and happier) guests—and you’ll sell more wine! I first met Chris while we were both students at Southern Oregon Wine Institute. Combining that knowledge with her three decades of marketing experience, Chris has become deeply involved in the Southern Oregon wine industry by advising individual wineries and writing for the Southern Oregon Wine Scene and Oregon Wine Press. Marketing is often the winemaker’s least favorite part of the job. Chris is uniquely positioned to help wineries to discover and define their brands and to sell that beautiful bottle of wine. When I launched Southern Oregon Wine Scene, surrounding myself with the wine industry’s most talented writers and industry advocates was at the top of my list. Working closely with Chris at Capiche has proven to be one of the best business decisions ever made! Not only is her writing engaging and interesting, she always beats deadlines and genuinely cares about me and my clients. Working with Chris has been very effective. She took the time to get to know us and our business and didn’t waste any time making things happen. In an age where marketing opportunities are everywhere, Chris helped to take the guesswork out of which ones would be beneficial to us. In short time, we found ourselves in feature articles and cover stories in targeted publications and on TV—creating a buzz around 2Hawk’s change in ownership and quality. This really helped to set the stage as we introduce a new era of quality wines. Chris rocks! If you are looking for a leader who knows Oregon, knows wine and knows marketing, look no further than Chris Cook of Capiche. I have worked with Chris on projects centered on travel and tourism as well as wine education and marketing. She is steady, savvy and fun to work with. As the Oregon wine business booms, we will see new leaders and entrepreneurs stepping up—as we already have with Chris Cook. One of the best examples of how connected and committed Chris is to the wine industry can best be illustrated by her recent cover story that featured 2Hawk Winery owners Ross and Jen Allen. The story served to not only capture the essence of their personal story but the emerging story of the entire region. Working with a writer and advocate who truly gets the gist of what’s happening here is worth its weight in gold medals! We are so grateful for the support you have given us and all of the wineries in Southern Oregon. The two of you add to the many who continue to elevate the Southern Oregon wine brand, and we look forward to being a part of that story. Doing a Wine Club Member Survey with Capiche was a very special gift. We got real answers, real information, confirmation about what we were executing correctly and where we needed improvement. I would highly recommend Capiche Marketing & PR. The team was professional and provided information that we could use immediately. Capiche engaged our staff to discuss ideas and work toward the same goals.… We walked away with several ideas—including recommendations and feedback from our very loyal wine club members. I am so pleased. Thank you. I have been collaborating with Chris Cook on a range of creative projects—publications, websites, marketing collateral, ads, branding, and graphic identity—for a decade. I am always impressed by her clarity of vision, crisp communication style, astute observations and thoughtful guidance. She is a delight to work with, and the process is not only exceptionally effective but also fun! I have been working and collaborating with Chris Cook of Capiche for several years now. Her professional yet easygoing demeanor makes for a great flow of ideas and top-notch results. The many photo shoots I have done for Chris are always well-planned and thought out to create the best product for her clients. Chris will be an effective and knowledgeable asset for your marketing campaign regardless of the size of your project.